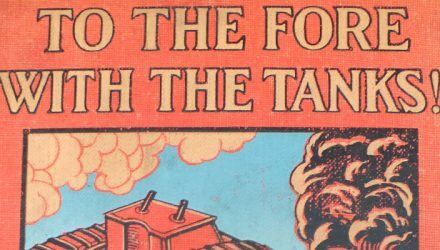 From the historian that brought you “Towards The Tank” and “Experimental Tanks in the First World War”, David Fletcher’s new series describes later investigations which may have inspired the first tanks. 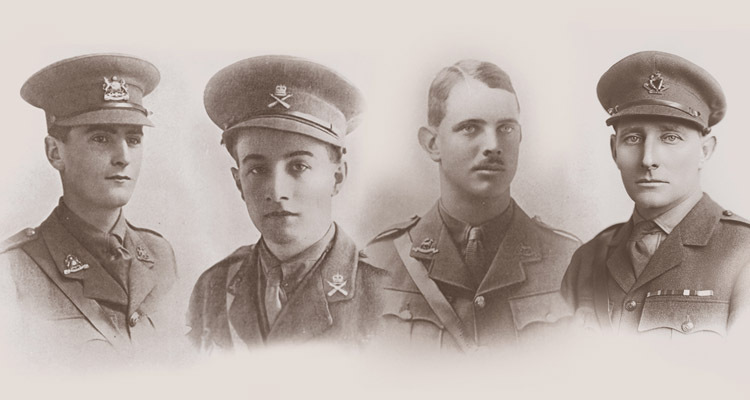 The first installment discusses the work of Major Royal Page Davidson, Bramah Diplock and John Fowler. 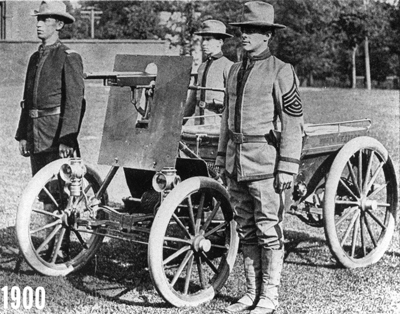 Major Royal Page Davidson of the Northwestern Military and Naval Academy of Highland Park, Illinois had a three-wheeled Duryea automobile built for him to which he fitted a Colt machine-gun behind an armoured shield; probably the first time anyone had attempted to arm and armour a motor vehicle. About a year later he had the car converted to a four-wheeler, again with the Colt machine-gun fitted but this time behind a smaller shield. He claimed that it would be used in conjunction with the Academy’s Cyclist Corps. That same year, 1900, he got his students to construct a pair of steam powered cars that were also fitted with Colt machine-guns. They seem to have lasted longer than the Duryea and one of them still survives. It is in the collection of the Museum of Science and Industry in Chicago. The Pedrail footed wheel played no part at all in the evolution of the tank, the tracks did but they came later. This thus serves to introduce Mr Bramah J Diplock, proprietor of the company and inventor of the Pedrail system, we shall meet him again later. It also introduces the firm of William Foster and Company of the city of Lincoln who will play a very large part in the origins of the tank. 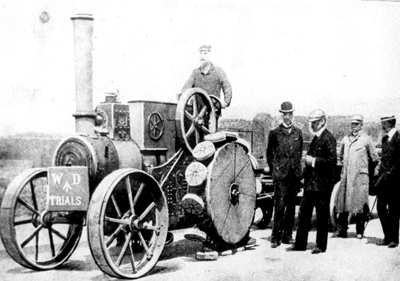 Diplock first had a massive four-wheel drive traction engine built for him which he fitted with his patent footed wheels but after that he seems to have settled for the idea of attaching footed wheels to regular tractors. This tractor, a single-cylinder example built by William Foster & Co. was the first of these. It was Foster’s engine number 2942 and it was tested by the War Office who showed some interest in the system. 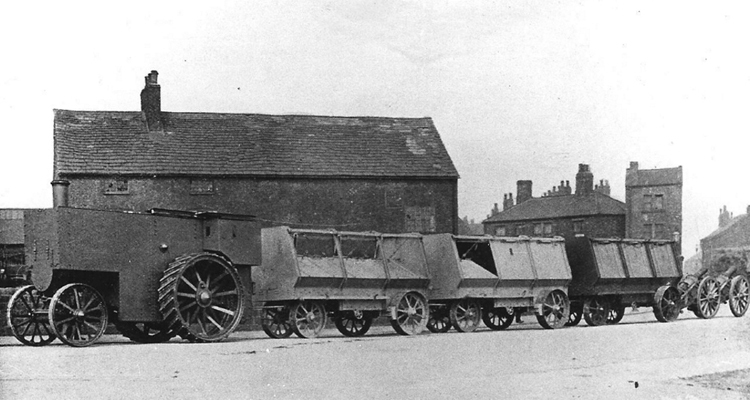 One such trial, held in Lincoln, was attended by members of the War Office Mechanical Transport Committee and it was during this trial that special drawbar tests were conducted to evaluate the haulage capacity of the engine. These showed that it had the potential to haul 75 tons, which was way above its powers as a conventional engine and it was calculated that its powers were only limited by the size of its engine, since it never lacked adhesion. It then undertook the 135 mile journey from Lincoln to London and did further trials for the War Office hauling artillery in Long Valley, Aldershot. 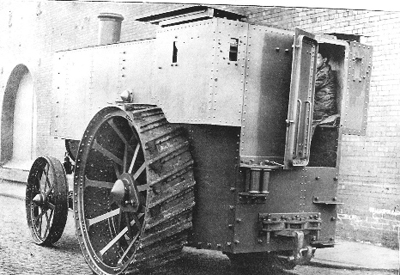 In order to increase power Diplock later had the tractor rebuilt with twin, 5 inch diameter, duplex cylinders and military trials are said to have continued until 1910. However at a price of £1,400 the tractor, with Pedrail wheels, was nearly three times as expensive as a conventional engine so in the end the War Office turned it down. Diplock built at least one more tractor with his footed wheel system in 1908 although there is no military connection in this case. He found the idea difficult to sell and switched instead to a sophisticated crawler track system of his own devising. In 1900, just as the South African, or Boer War was getting into its stride the War Office ordered an armoured road train to be built. In fact six of them were ordered and four sent out to the seat of war. 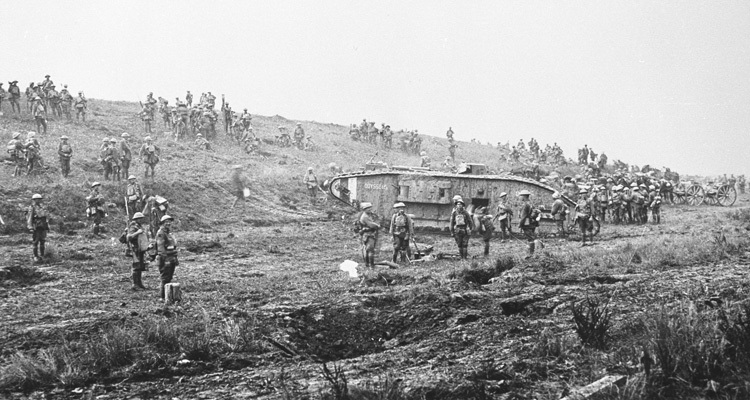 Each road train consisted of a massive armoured traction engine hauling three armoured wagons and these were designed to carry infantry, who could shoot from within, or stores or even a field gun as required. They were built by John Fowler and Co. Ltd. Fowlers of Leeds, one of the foremost makers of traction engines in Britain. Fowlers used their huge B5 class road locomotives as the power for the train, each one covered in Krupp armour plate between .18 and .25 of an inch thick. 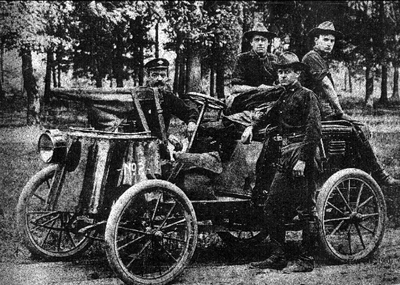 A wagon containing a field gun. 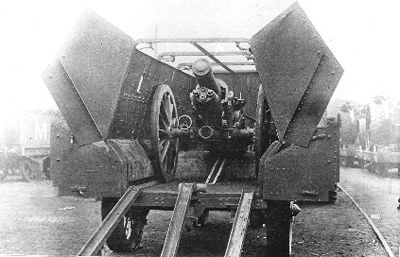 The armoured wagons, which weighed around 5 tons each were of a unique design with a steerable front axle and portable ramps at the back for hauling artillery on board. 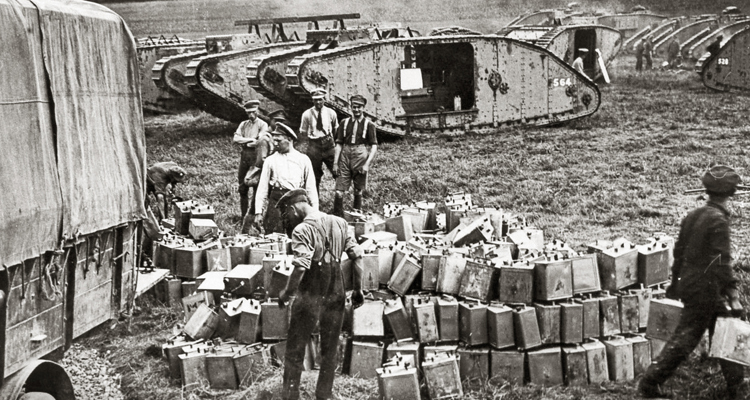 Twenty four armoured trailers were built with armour supplied by Charles Cammell & Co. of Sheffield. In the event there is no evidence that the armoured road trains were ever used. The trailers were converted for use in armoured railway trains while the engines were all stripped of their armour and used for military haulage for the rest of the war. 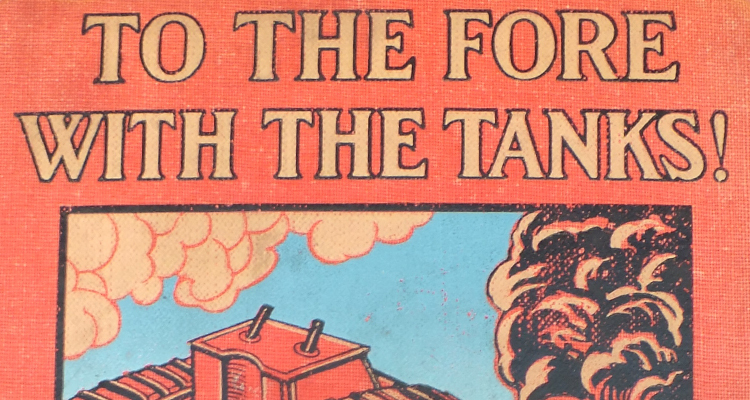 Read Part 1 of Towards the Tank here and the Experimental First World War Tanks here.